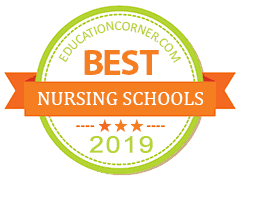 The Top 100 nursing schools for 2019 rankings below represent those nursing schools in the US that have consistently demonstrated a superior level of dedication to excellence in nursing education. Our rankings are based on four criteria: Affordability, Accessiblity, Academic Quality, and NCLEX-RN board exam pass rates. With over 700 bachelor nursing degree programs offered in the United States, finding and selecting the right program can be a daunting task. It's important that prospective nursing students do their due diligence to deterine which programs are a good match for their needs and career ambitions. When selecting a nursing school there are several factors you should consider. However, before you can decide which nursing school is going to be serve your career objective, you have to know what your career objectives are. Do you want to start as a licensed practice nurse (LPN)? If so, you can get started with a diploma or associate degree from an accredited program. However, if you want to be launch your career as a registered nursing (RN) you'll want to earn either an Associate of Science in Nursing (ASN) or preferrably a Bachelor of Science in Nursing (BSN), which will allow you further your education down the road. Nursing school specialties. Certain schools offer specific degrees and specialties. If your goal is to become a registered nurse, then you'll want to research accredited schools that provide associate and bachelor degree programs that will prepare you to pass the NCLEX exam. If you want to become a nurse practitioner, then you'll want to find schools that offer specific programs in the nursing specialty you're interested in. Accreditation. Earning your nursing degree at an accredited program will ensure you receive an education the meets industry standards. There are general nursing education accrediting organizations as well as associations that offer nursing accreditation for specialized education programs. Nursing school accrediting organizations include The Accreditation Commission for Education in Nursing (ACEN), which accredits all levels of nursing education, The Commission on Collegiate Nursing Education (CCNE), which accredits only bachelor's and master's level nursing degrees, The Council on Accreditation of Nurse Anesthesia Educational Programs (COA), which accredits nurse anesthesia programs, and The American College of Nurse-Midwives Division of Accreditation (ACNM), which, as its name suggests, accredits midwifery education programs. NCLEX examination pass-rates. At the end of the day, if you want to become a licensed registered nurse (RN), you have to pass the NCLEX examination. When selecting a nursing program, you'll want to find out what percentage of a school's students typically pass this exam. Ask the school for the past 5 to 10 years of NCLEX exam pass rates of their students. A school with a high pass rate is a good indicator that they prepare their students well. Tuition. The cost of tuition for attending a nursing program can vary dramatically from school to school. Financial aid and assistance also varies between schools. Attending a more expensive nursing programs doesn't necessarily mean you're going to get a better education or higher paying job. The average rate of tuition per semester for full-time instate students is roughly $860 to $1,020. Clinical rotations. DOes the program you're considering provide a substantion amount o clinical rotation time? Do the the clinical rotation provide hands-on experience? Are the clinical placements varied? If not, you may want to consider a different program. The best place to find out about the quality of a program's clinical rotations is from previous students. Size of school. Size doesn't necessarily need to be a determinant in your decision making process–but it is something to consider. Do you prefer smaller schools where you receive more personal attention, or the intellectual stimulationof a larger institution, such as a four-year college or university. There's no right or wrong answer, it's just a matter of personal preference. Class size. When researching prospective programs, you'll want to find out about the student-to-faculty ratio. The student-to-faculty ration is a good indicator of how much personalized attention you can expect to receive in the classroom and in clinical instruction. While it doesn't really matter how large the classes are for your prerequisite courses, when it comes to your core nursing courses and clinical rotations, smaller class sizes are better. Location of school. Location is a factor to consider when selecting any college or university to attend. If location is a factor for you, you'll want to limit your searh the region where you want to study. Earning your nursing degree in area where you want to work once you grauate can also be advantageous. You can start your job search while you're still finishing your degree and the school you attend may have established relationships with employers in the area.